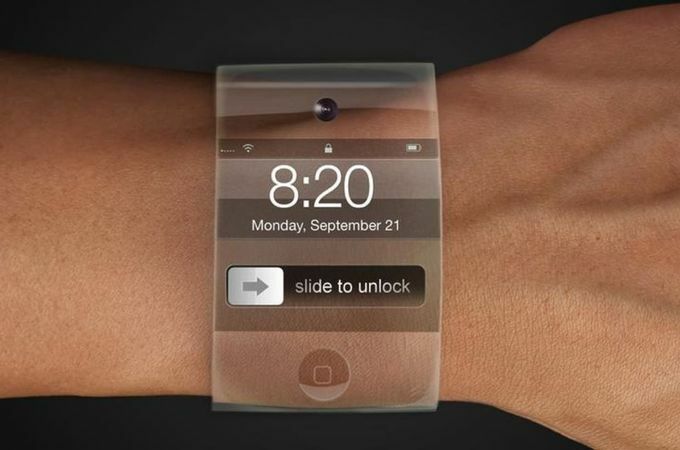 iWatch, Could We Expect More? 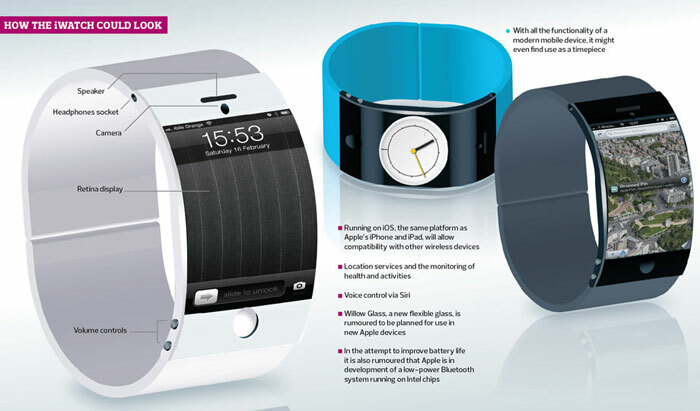 iWatch is widely reported by many people now, it is a new type of "wearable computing devices”. What time is iWatch released? Is it the beginning of 2014? The release date is still unknown. The biggest bright spot of iWatch is the flexible screen and the combination of fashion watches.Like Google Glass on fashion magazines in general, the design of the Apple iWatch is also quite fashion. But could Apple iWatch be as fanciful a design as we could wish for? Let’s take a quick look about what it would look like according to the news and speculation on its specs and features we rounded up. According to some media reports, Apple smart watches iWatch will use 1.5 inch OLED displays. Reports said the company is to wear a wrist 1.5 inch OLED device testing, and have signed the contract with foxconn, a bulk trial production. Report also said that apple has also tested 1.8 inches panel, but feel the volume is too big, they focus on smaller 1.5 -inch screen. Apple is testing the 1.5 inch OLED touch screen made by Taiwan rhenium treasure company, use one glass - solution touch sensors. This will allow screen achieve a very thin thickness. This watch probably will have a very special function, that is an apple ID. In the near future, this watch can achieve nearly apple devices content synchronization function of the cloud. We can expect the potential flexible glass screen of Apple iWatch. Apple was granted another solar centric patent earlier this month describing an integrated touch sensor solar cell panel surface for future iDevices. Maybe a solar power option or other alternative energy sources could help augment battery life. It makes no sense if you have a stand-alone Apple iWatch. So the most obvious move would be the value of iWatch as a companion that can extend the functionality of an iPhone/iPad - with easy access the device's notification center (messages, calendar, reminders, etc.) and in-built Siri functionality. Whatever iDevices you have, you can easily connect and share with each other via iCloud. Take a picture on your iPhone, and it shows up on your iPad. Watch half a movie on the iPad, and then zap it over to the TV via Apple TV. The Cult of Mac notes that recently Siri and iCloud has become massively important to Apple – and that these two technologies actually lend themselves very well to a wristwatch strategy. It also points out that it would be particularly well suited as a remote control to any TV that may be being worked on. If you have any iDevices, I am so happy to provide simple solutions to make your movie enjoyment on iDevices easier and faster. From now on, no need to worry about how to edit, play, convert, backup. 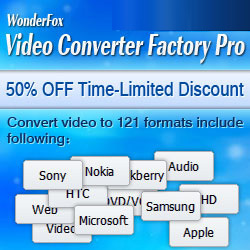 Wonderfox DVD Video Converter helps you converter all key format videos for playback on iDevices you have. It provides you not only conversion of regular videos to Apple devices but also HD videos such as AVCHD, M2TS, HDTV, BDTV, MKV. What’s more Wonderfox DVD Video Converter makes it possible for users to rip encrypted DVDs and convert them to Apple devices directly. Concise operation panel makes you get started in a few seconds. You can download it to have a perfect movie time on your iDevices now!